Derek Cox or whoever is slotted to start at CB will have his hands full with Calvin Johnson. Aside from that, who cares? 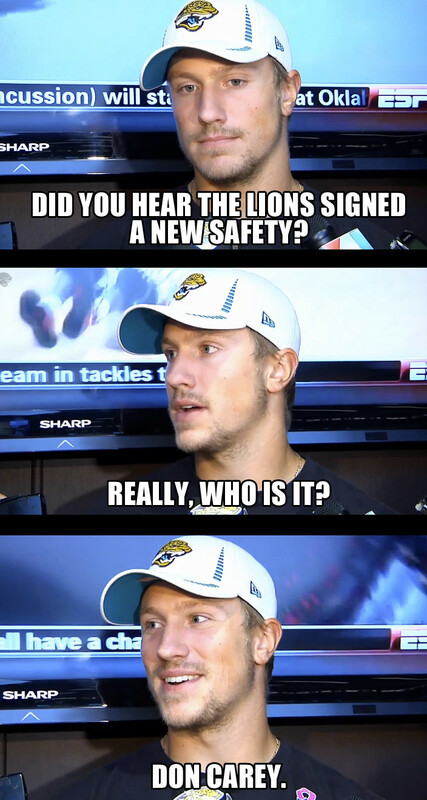 Keep Gabbert free! 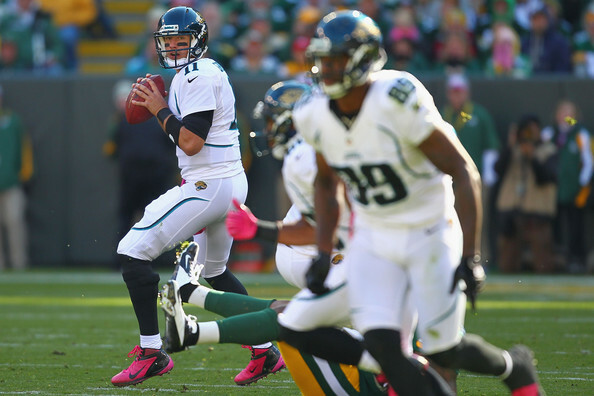 Will Gabbert and Shorts continue to show progress? Is the defense getting better? 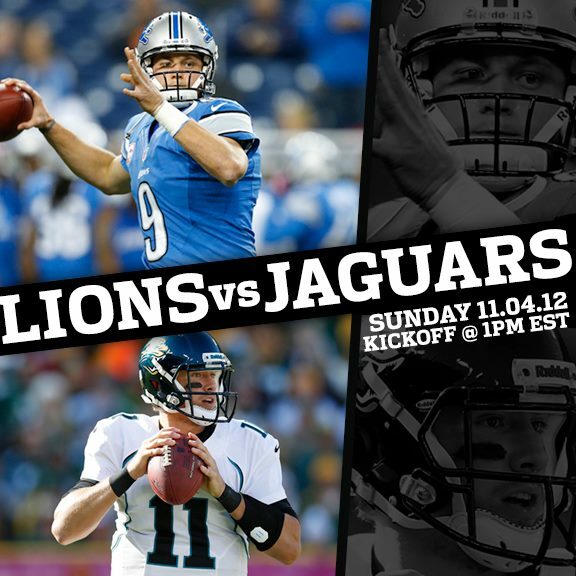 Which Stafford do we face? So glad to have a home game again! Feels like it's been years since our last one, hopefully we don't play like complete crap this week. i hope neither side attempts a rush all game long. Our injury report doesn't look pretty. Robinson full is good. Don't care about the rest. Let them sit the rest of the year. Maybe Robinson will actually show up Sunday? 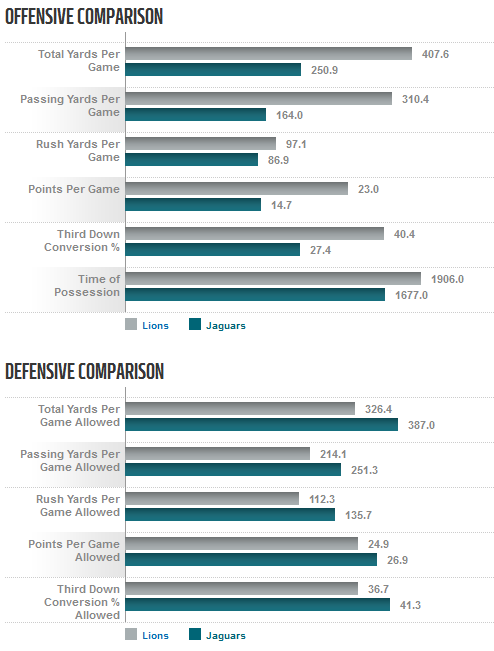 what are the odds MJD is done with the jaguars after this season? I'd say its a coin flip at this point. I'd sell as the GM.